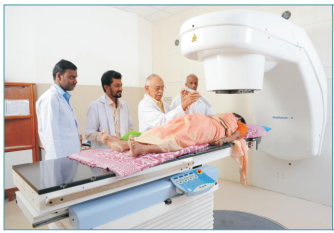 Radiotherapy | Cancer Research Project - Ayurved Hospital and Research Center - Bharatiya Sanskriti Darshan Trust . :Ayurveda for Cancer:. Radiotherapy treatment destructs the malignant cells, by their repeated & controlled exposure to Radioactive emissions.